Tax is something that we usually prepare for but the question is how well prepared are you? Are your documents ready and do you have easy access to them when needed? Being well prepared for important meetings is always wise, and your tax meeting is especially important. Good preparation saves a lot of time, effort and money – not only for you but also for the other people involved in the tax return process. 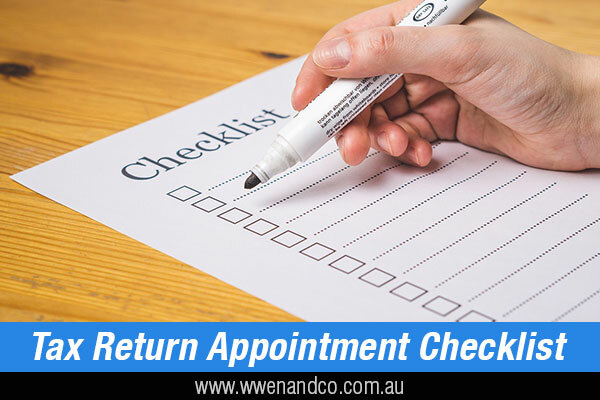 What do you need to be prepared for your tax return appointment? If you are a new client, it is always smart to arm yourself with last year’s tax return or has access to it if online. This should have your personal details, tax file number, income streams, tax offsets, deductions, and other relevant information previously claimed. Also, have your bank account details in case you’re entitled to a refund. If you use an online accounting system, all or most your data should be available online for easy access. Most packages capture business transactions and allow you to record data in real-time and in a format that tax processors easily understand. These systems also provide 24/7 access so your accountant can keep working on your return if they need to after your appointment. Not everything on this list will be relevant for everyone but will depend on your own circumstances. But this checklist should help you tick off what you do or don’t have in preparation for your next visit. We highly recommend that you keep receipts for all expenses and possible tax deductions you are considering claiming for yourself or your business. It is also a good idea to scan and file these records electronically so they are accessible if you need them for audit purposes. Stock valuation figures after performing your June 30 stock take.